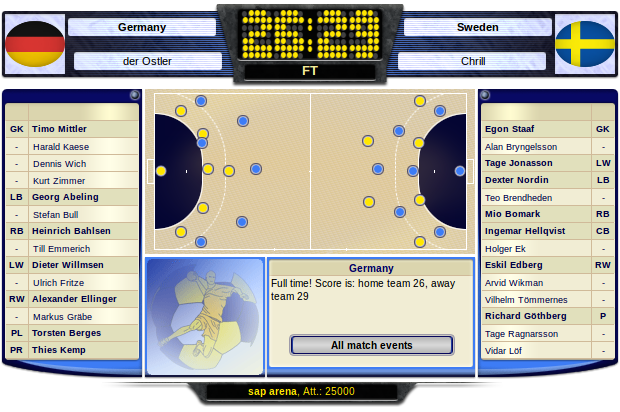 TeamHB is an online team handball management game. All you need to play is one of the popular web browsers and a little time. You don't need to download anything and you can play for free. 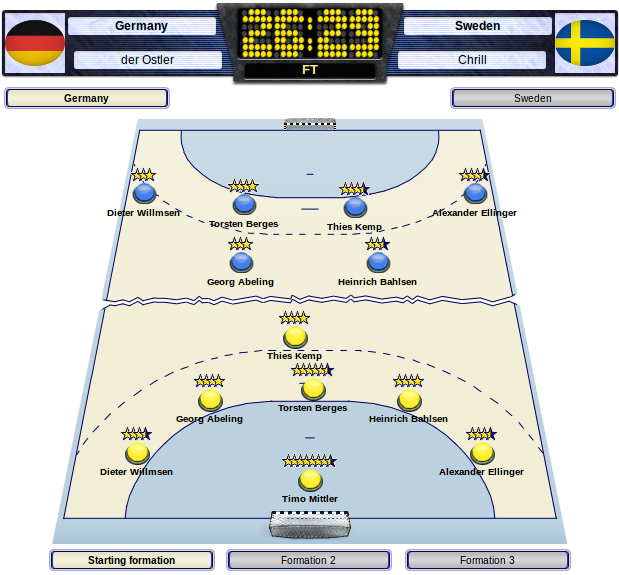 Team handball is a fast, action packed game, played for 2 periods of 30 minutes. The 2 teams (6 outfield players and 1 goalie each) try to outscore each other by any means possible – tactical, physical or technical. Here is where TeamHB shines. You have the option of training your players to your tactical requirements as well as training them in your preferred attacking system. We are especially proud of our formation editor. We give you control of defensive formations, attacking systems, changing formations/systems mid game, aggression setting, fast break settings, etc. 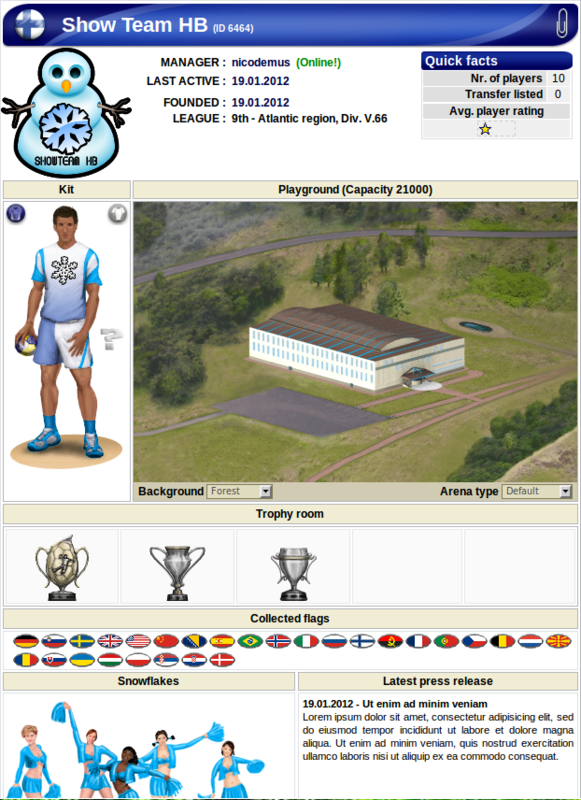 TeamHB also offers an international aspect to the game. The world is divided into 8 regions - Africa, Asia & Oceania, Atlantic & Scandinavian, Balkan, Central Europe, Eastern Europe, Mediterranean and Pan America. Each region has it's own league and it's own cup competition. Winner of the top division and the winner of the regional cup competition then get a ticket to the highest level of competition in TeamHB, the League of Champions. The winner of the League of Champions is considered to be the best team in the world ... for that season. Can you be the Champion? Click here and find out.